Born March 28, 1969, in Knoxville Tennessee , Rodney Allan Atkins was an adopted child. Due to his health issues two couples who had taken him home returned him just a few days later. A third couple from Cumberland Gap, Tennesse, adopted him as well and, even though his ailments worsened, refused to give him up. It was when he was in high school that he received his first guitar. He played, solo or with a band, at county fairs, festivals and shopping malls. He also made trips to Nashville as often as he could to play at some of the local clubs and write songs. Although the first two singles released from Honesty were minor Top 40 hits, the third, "Honesty (Write Me a List)" shot up to No. 4 on the charts, giving Atkins his first taste of success. 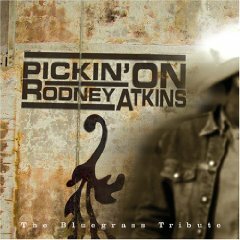 In 2006 Rodney graced the charts again. He released "If You're Going Through Hell (Before the Devil Even Knows)" as the first single from his sophomore album If You're Going Through Hell. The song became his first No. 1 hit, as well as the No. 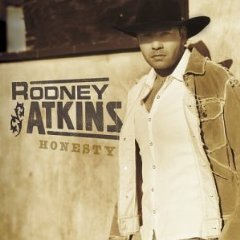 1 song of the year, and Rodney was officially on his way. 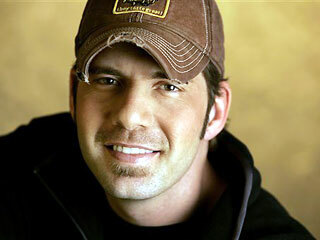 In 2007, he released the second single, "Watching You," which he wrote about his young son Elijah. It too went straight to No. 1, and became the No. 1 song from 2007. 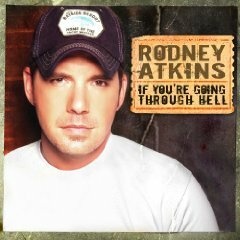 He released a total of five singles from If You're Going Through Hell. The next two -- "These Are My People" and "Cleaning This Gun (Come On In Boy)" also reached No. 1, while the fifth, "Invisibly Shaken" peaked at No. 41. The album went on to sell over one million copies, earning Atkins his first Platinum album. 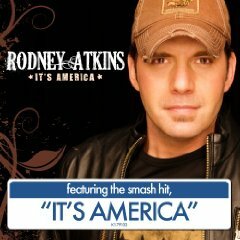 Rodney debuted his first single from his third album ("It's America ") on the CMA Awards show in November 2008. The single was then released to radio, and is climbing the charts, sitting in the Top 5 and still moving. It's America was released on March 31, 2009.